PT Perkebunan Nusantara III (Persero) Holding - PTPN III (Persero) Holding is a reputable state-owed agribusiness and plantation company in Indonesia. The Company engaged in engaged in the management, processing and marketing of agribusiness and plantation with main commodities in oil palm, rubber, sugar cane, tea, coffee, cocoa, tobacco, various woody, fruits and various other crops. 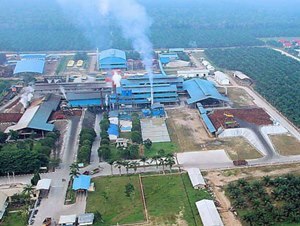 PTPN III (Persero) Holding is the holding company for 13 state-owned agribusiness and plantation companies in Indonesia; PT Perkebunan Nusantara I, II and IV until XIV. PTPN III (Persero) Holding was formed by the Government of Indonesia in 2014 under the Government Regulation No 72 of 2014 dated 18 September 2014. Good in Computer knowledge with minimum requirements Microsoft Office. Have experience in planning corporate business. Good communication skill in English language. Well behaved and not been involved with legal issues as evidenced by attaching SKCK. Have a good integrity and loyalty as well as able to work in a team. Minimum 2 years of experience in the field of development and training. Have a good knowledge about general business processes in human resources is preferred. Have perseverance and a strong will to work. Have a good integrity and able to work in a team. Have a good knowledge about information technology development is preferred. Minimum D3, preferably majoring in Secretary. Minimum 2 years of experience as BOD secretary. JobsCDC.com now available on android device. Download now on Google Play here. Please be aware of recruitment fraud. The entire stage of this selection process is free of charge. PT Perkebunan Nusantara III (Persero) Holding - Recruitment D3, S1 Staff PTPN Group April 2017 will never ask for fees or upfront payments for any purposes during the recruitment process such as transportation and accommodation.